Saffron has a long medicinal history as part of traditional healing; several modern research studies have hinted that the spice has possible anti carcinogenic (cancer-suppressing), anti-mutagenic (mutation-preventing), immune modulating, and antioxidant-like properties. Saffron stigmas, and even petals, may be helpful for depression. Early studies show that saffron may protect the eyes from the direct effects of bright light and retinal stress apart from slowing down macular degeneration and retinitis pigmentosa. 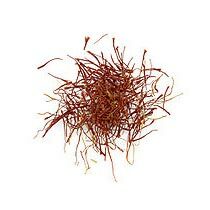 Other controlled research studies have indicated that saffron may have many potential medicinal properties.